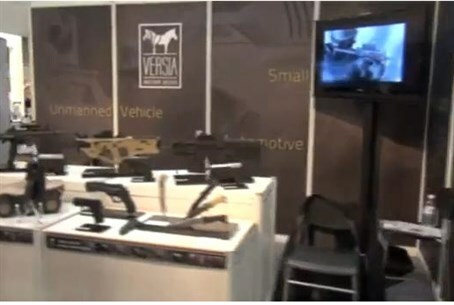 The Israel Defense Exhibition (ISDEF) 2013 was held in Tel Aviv, featuring the latest achievements in the industry. The Israel Defense Exhibition (ISDEF) 2013 was held this week in Tel Aviv, featuring the latest and most relevant achievements of the global HLS and defense industry. Arutz Sheva’s Yoni Kempinski was there. According to Harte Feldman, Director of International Relations at ISDEF, this year’s exhibition is the largest one yet. The exhibition focuses on both importing and exporting, she explained, to ensure that the IDF gets “the best”. “You have to have companies work together and create opportunities and joint ventures,” said Feldman. “That’s the beauty of this exhibition. 60% of the companies are Israeli and the other 40% are international. 11 of the top 100 defense companies are exhibiting under this roof,” she noted.